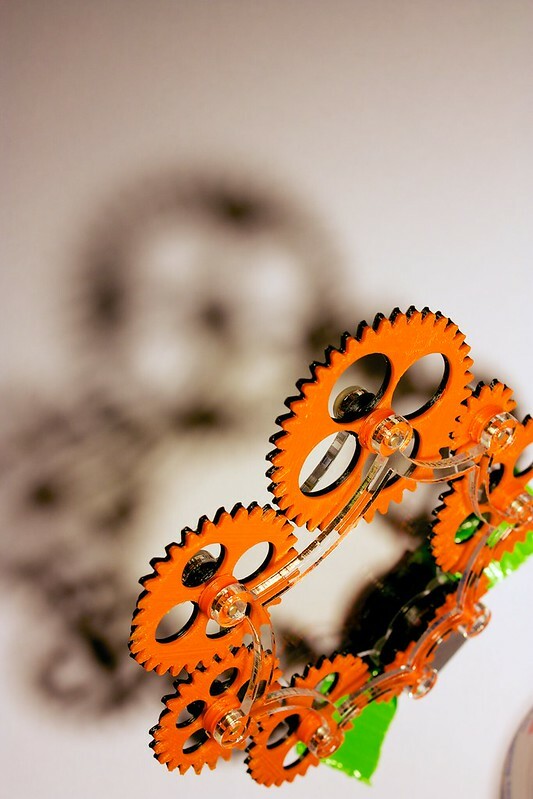 RoboBrrd @ Open Hardware Summit! 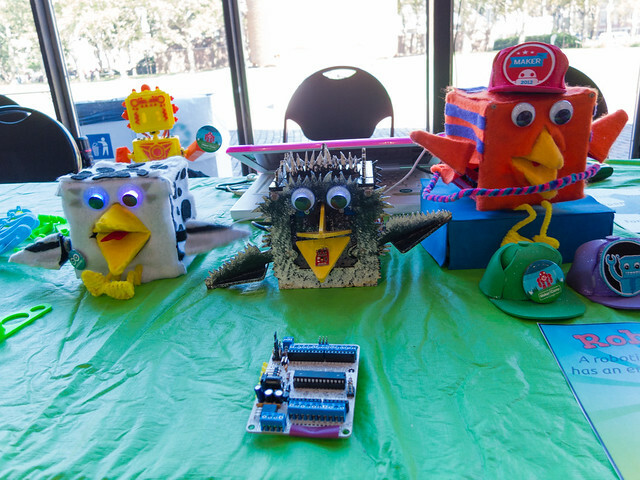 Here are some photos of RoboBrrd at the Open Hardware Summit! “@SFE_Engineering: Robobrrd demo @ohsummit https://t.co/3FEW1iw4ZD” Chirpy chirpy! Going to the Open Hardware Summit! With many thanks to the Ada Initiative and Open Hardware Summit for the fellowship, RoboBrrd and the other robots, and myself will be at OHS! 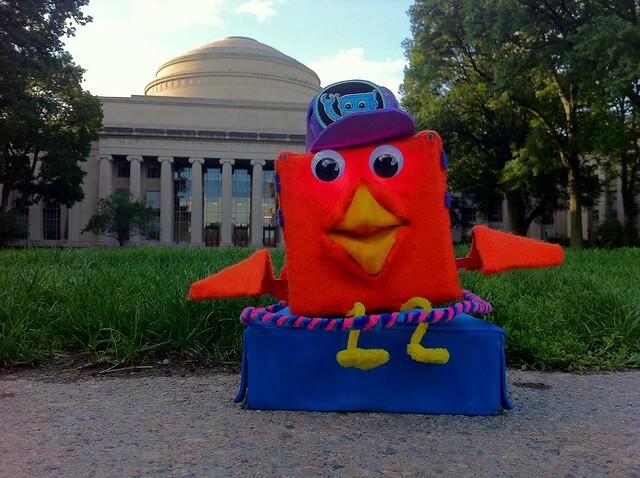 Open Hardware Summit is September 6th at MIT. It’s an annual event celebrating all the efforts in OSHW, learning more about it, and meeting the people behind the projects. We’ve been there in 2011 and 2012, and each year it is fantastic. (Check out my older posts about OHS here). 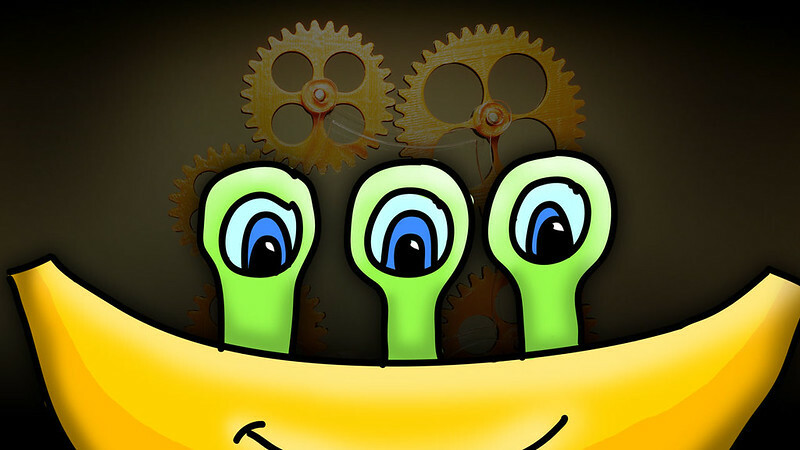 We will have a demo table set up in the hall where we will be showing off RoboBrrd, Buddy 4000, and Botbait. 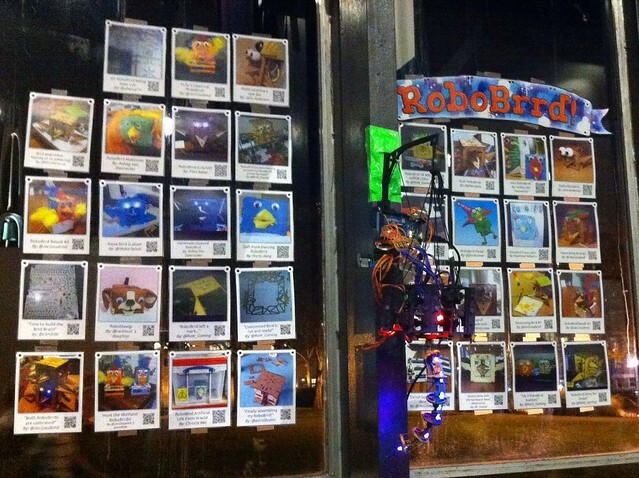 There will also be photos of the RoboBrrds that other people have made, so that they can be there (in spirit) too. Please stop by and say hello to the robots if you are there! One of the works-in-progress that will also be there is this fern-like thing using flexible links. 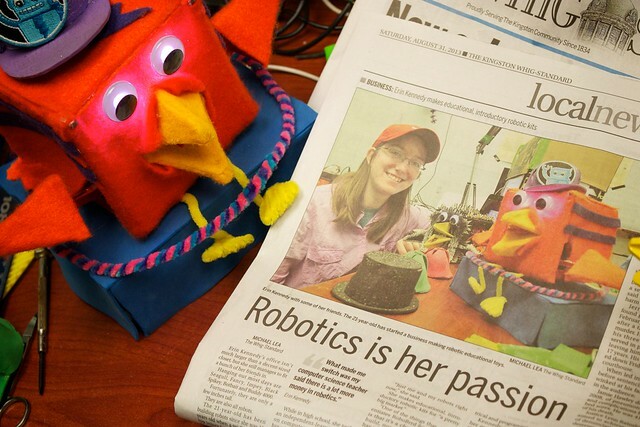 The Kingston Whig (local newspaper) wrote up a nice story about us! It was on Page 3 of Saturday’s newspaper. Also online here. One of the reasons why I’m excited to go to OHS this year, is that I’m intrigued to find out what motivates OTHER PEOPLE to use OSHW. Not: why OSHW-Makers create OSHW — but why do people use it. Reflecting on RoboBrrd, its over-arching real-world purpose is (quite obviously) to instil more FUN in the world. 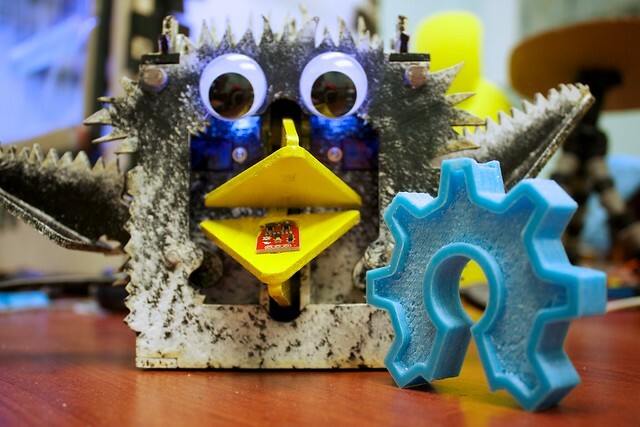 A ‘one-size-fits-all’ RoboBrrd doesn’t cut it for all people, so then adaptations and modifications arise. 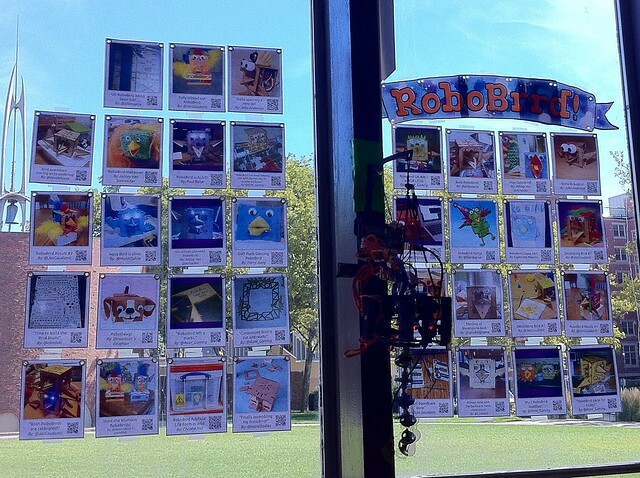 It’s through RoboBrrd’s inherent creativity, that people are motivated to change it. Aside: One of the most recent mods we have seen is a functional, miniature, Arduino-sized Brrd. Wow! So, that is the answer for RoboBrrd. But what is it for other projects? Is there a common theme between all of them? Now that I have some more experience with OSHW, one of the weird aspects of it that I’ve noticed is that (for some projects), all OSHW is to them is a badge of honour. While this is a good first step… there is something more to it. One of the visions I have is that OSHW should be an activity that everyone is taking part in, rather than just a status you achieve by making files available and following the definition. It should be an on-going adventure that connects the community together. 1) When building the kit, there can be ‘tie-ins’ or ‘hints’ about how the builder can modify whatever they are making to suit their liking, using OSHW. 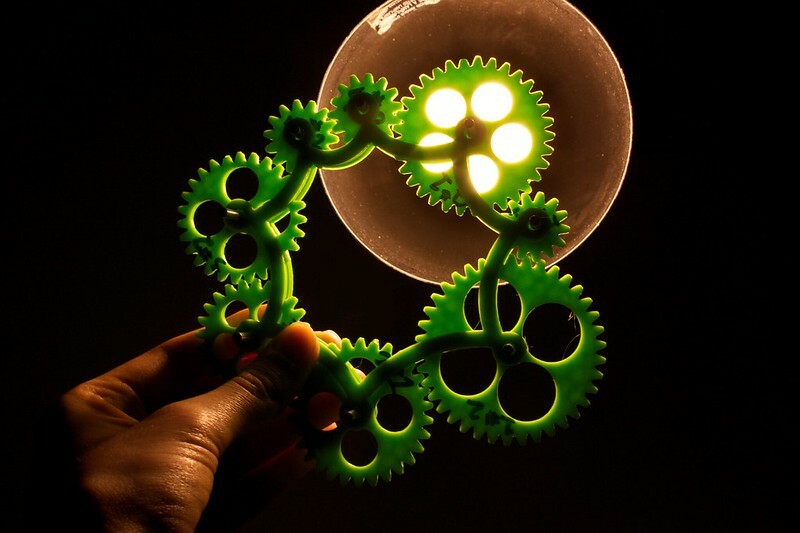 2) There can be more articles, documentation, tutorials, inspiration, etc, out there for people to read about and tie in possibilities of what they can make using whatever they have. With that said, this isn’t exactly easy. It requires a huge amount of effort for any project. 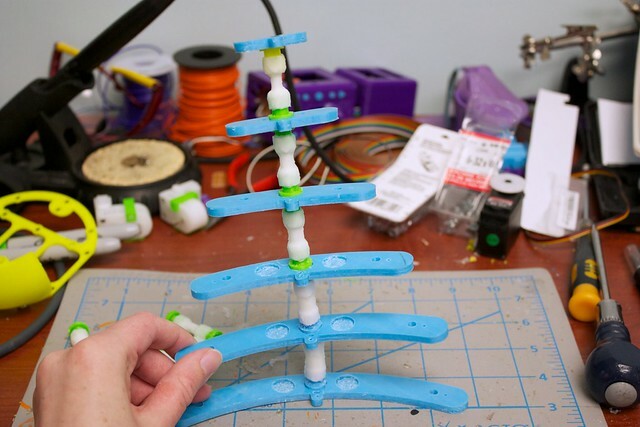 First, getting people to actually make what you have made can be tough… then inspiring and encouraging them even more to use the OSHW and modify it to their liking is even trickier. This vision is something that I’m striving towards. Not exactly doing it perfectly right now, but improving through the various robot projects. Of course, this is just in my experience through RoboBrrd and Buddy 4000. Perhaps I’m just too obsessed with seeing more fun modifications. Either way, discussing this with like-minded people at OHS will be fun (and hopefully challenging). 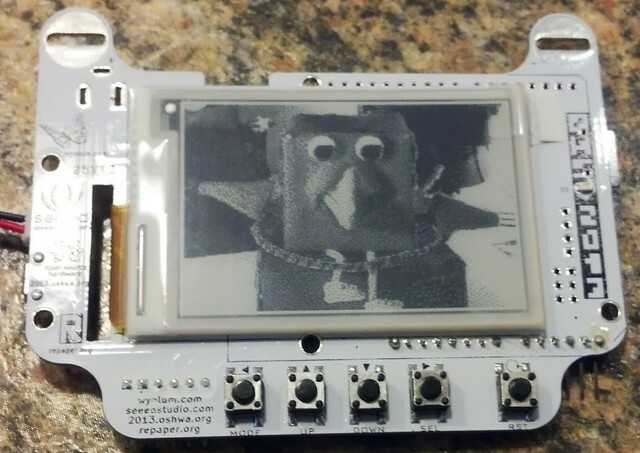 Go check out our OSHW projects. 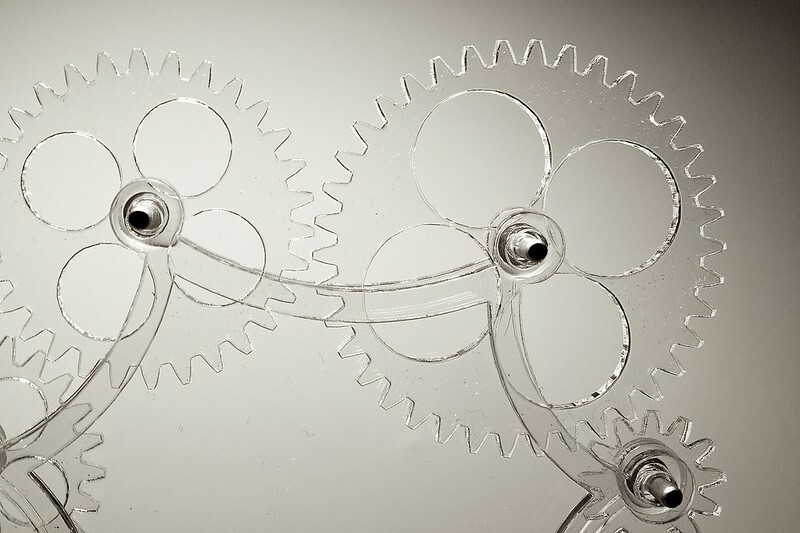 Learn more about OSHW. Join us for all this fun! Bouncing off the walls, excited to meet everyone at OHS’13!